What to wear when you don't know what to put over your wedding guest dress (or jumpsuit or whatever). I went to a wedding last Saturday expecting it to be roasting because of the heatwave and all. Instead, it wasn't. It was pretty chilly. If only I hadn't been deceived by the summer imposter - summer. Even though I had bought my dress in the sales back in January, I hadn't thought about what to wear over it, and by Saturday, it was too late. My only option was to shiver, and shiver I did. Don't make the same mistake. Always be prepared. Like I recommend always bringing a backup dress/jumpsuit/whatever you fancy in case you turn up in the same dress as someone else, I (now) advise to always bring some sort of jacket, even if the wedding you're going to is in summer. Note that I say jacket specifically. What about the pashmina, you ask? No. 2018 is no place for a pashmina. Just don't. Sadly, it's harder to choose a jacket for a wedding than you might think. It should really match the rest of your outfit; it can't really be the any-old-thing you usually wear. That said, it can be something you have already, but it should be clean and just a tad fancy. If you're buying something new, it should be something you can wear again. If it's not, I promise you'll be giving it the evil eye every time you see it hanging in the 'things I never wear' compartment of your wardrobe. The jackets I've picked are just guidelines. If you want real-life inspiration, google what Pippa and Kate wear to weddings. They go to enough of them to know what's what. If you're wearing an all-black outfit to a wedding (you can, you know), take the opportunity to de-funeralise it with a showstopping coat. Choose a bright colour (and maybe some complementary heels) and a sleek material. I love the kimono style like the one above; it's even better when it comes with a belt. Cape-styles are to blazers what bikers are to other leather jackets. They're just that little bit cooler. 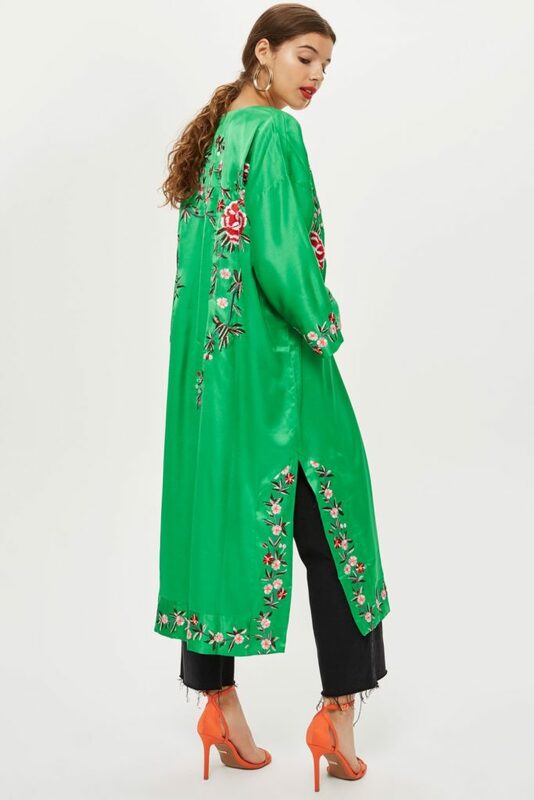 The Zara cape above also comes in black, but you can wear a white jacket over your wedding guest dress as long as the rest of your outfit isn't white, too. 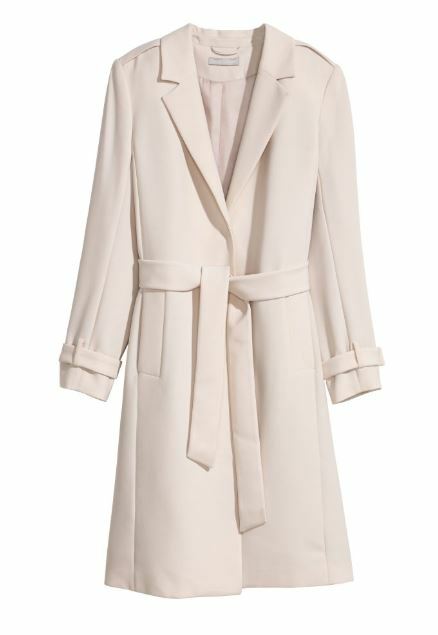 H&M has this new belted coat in store now for the new season, and it is a lovely style to wear over a wedding guest dress in the colder months. Remember when Meghan Markle popularised the style when she got engaged to Harry? In the slighter warmer months, in case you were wondering, you can wear a trench. A nice, clean belted trench. A coloured blazer is something you'll never regret buying because it will go with so many other outfits. 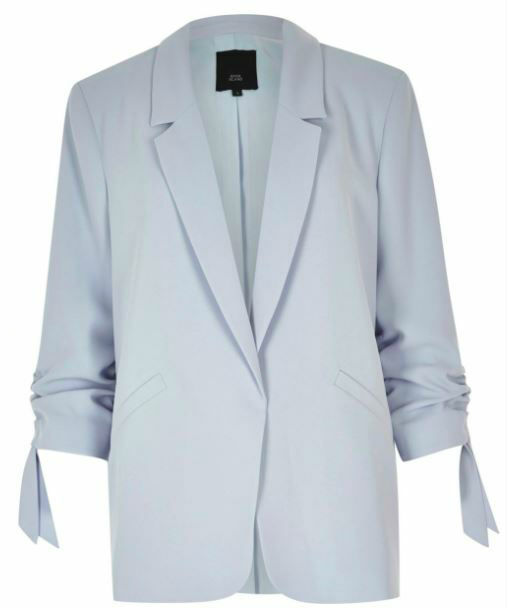 This one from River Island comes in about 50 million shades, so there's one for every wedding guest outfit! I've said it before, you can wear a crop top, and that includes a jacket. 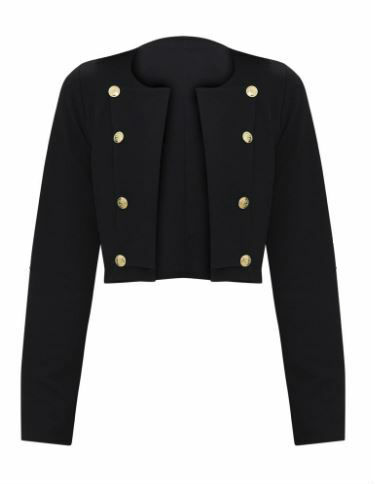 A little cropped jacket like the military style from PLT will look lovely over a high-waisted skirt or trousers or dress with a cinched waist. What do you usually wear over your wedding guest dress?